Total Micro’s family of notebook batteries includes replacement units and upgrades for every major brand of portable computer. 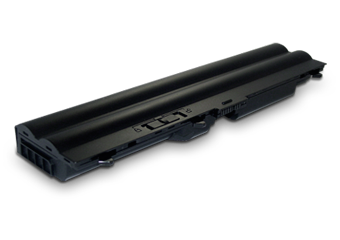 Built with premium quality cells, these batteries are made to meet or exceed the OEM original specifications for mAh and longevity. Simply put, Total Micro batteries power your computer longer. No other manufacturer or distributor offers a power product which outperforms the Total Micro line up. Total Micro's family of notebook batteries provides upgrades and replacement units for every major brand of notebook computer. Total Micro builds all its products using state of the art equipment and premium grade energy cells. Every battery Total Micro makes will meet the original computer maker's specifications and in many cases Total Micro's replacement battery will be higher in performance offering an increase in computing time and a longer overall life span. Total Micro's PowerStation 100 is the thinnest most powerful product of it's kind. Built using the latest in Lithium Ion Prismatic Technology and utilizing Double Protection Circuitry, this battery product provides up to 7 hours of supplemental power in a unique flat form factor. Weighing only 32 ounces and at just over a quarter of an inch thick, the PowerStation® 100 is about the size of a sheet of paper and fits conveniently beneath a notebook computer. The built-in LED displays available battery life as well as the progress during the recharge mode. 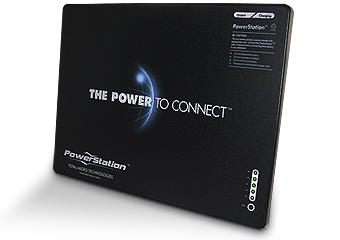 Total Micro's PowerStation® 200 is the thinnest most powerful product of it's kind. Built using the latest in Lithium Ion Prismatic Technology and utilizing Double Protection Circuitry, this battery product provides 10+ hours of supplemental power in a unique flat form factor. Weighing only 48 ounces and at just over a quarter of an inch thick, the PowerStation® 200 is about the size of a sheet of paper and fits conveniently beneath a notebook computer. The built-in LED displays available battery life as well as the progress during the recharge mode.